On this page, we will continuously refer to daytrading teaching around the country. Several of the writers here at DaytraderLand teach in daytrading and swingtrading in the form of lectures, weekend classes, private lessons, etc. The course will take place on 12 November in Copenhagen from kl. 9am to 9pm 16.00. Would you like to learn to daytrade with profit? The aim of the course is to make participants to profitable daytraders through team training in, among other things, The following topics. On the course, there will be given specific techniques that teach Hans-Henrik Nielsen’s success in his own daytrading. The methods can be used both in 1- and 5-minute graphs and up to 1-hour, 4-hour, and day graphs. Examples will be given from indices such as DAX and DOW, commodity trading with oil and gold and Forex. After the course, you will be able to use the methods directly in the market – or you can combine the methods with strategies that you already have. The daytrading lessons are conducted by the successful daytrader Hans-Henrik Nielsen. The course is offered by Henroy AG. Participation in the course costs 3,495, – and includes lunch, water and coffee. 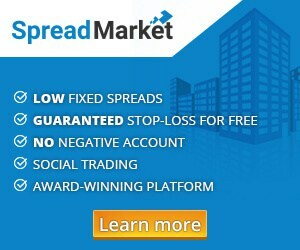 The course is sponsored by SpreadMarket.com. This means that all participants who have at least 5 days before the start of the course have an account balance of SpreadMarket.com of at least DKK 5,000 receive a cash discount of DKK 1,000 paid on the course – thus paying only DKK 2,495 for participation in the course. -A little basic understanding of graphs. If you have questions about the course, please contact Hans Henrik Nielsen at hh@henroy.ch. The course will take place on November 26th in Aarhus from 9am to 4pm. 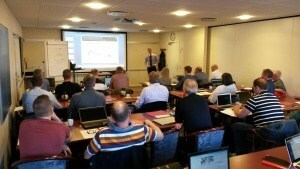 We expect to launch a similar course in Copenhagen after the summer vacation. Sign up for our newsletter and receive a direct message about future events and lessons in daytrading. Would you like to learn to daytrade with profit and get educated by two successful experts? The course runs over 6 months with 6 teaching days in Aarhus combined with ongoing support and homework, etc. between the teaching days. The dates of the course are: April 19, May 10, June 14, August 2nd, September 6, October 4th. All days from kl. 18 to 22. The aim of the course is to make the participants profitable daytraders. The daytrading lessons are held in Aarhus and are made by the two successful daytraders Hans-Henrik Nielsen and Anders Egsvang Rasmussen. The course is offered by Henroy AG. The course is offered at an introductory price of 12,500, -.